The Oprah Winfrey Show will wrap this week after 25 years of cultural influence and has provided Oprah with a platform to achieve near sainthood in the eyes of many. If you haven’t heard of Oprah Winfrey, you probably aren’t even reading this because you’re the type of person who hasn’t heard of things like the Internet. If this is your first day Internetting, allow me to provide a basic Oprah primer. Can you pick the lie from the following facts? A. Oprah is an American woman just like you and me as long as you are an American woman and very, very, very rich. Oprah and I wanted different things. I wanted our pre-nup to give me 90% of her fortune even if I decided not to marry her. She only wanted to give me 80%, and she wanted me to stop heckling her during shows. 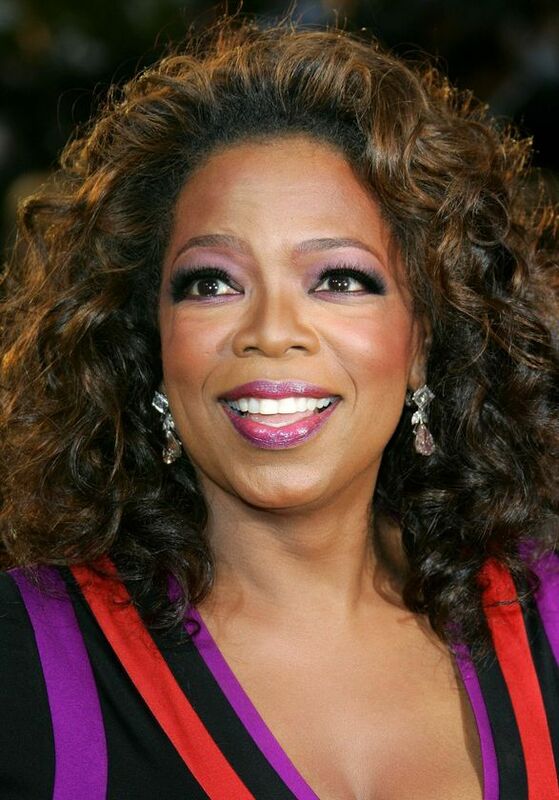 B. Oprah is worth 2.6 billion dollars. E. Oprah dated me. I don’t want to talk about it. F. If aliens are spying on us, they are likely to determine Oprah is our prophet. If you guessed B you are correct. Oprah is actually worth 2.7 billion, not 2.6. I greet the end of Oprah with mixed emotions: on one hand I’m terribly disappointed Oprah never gave me anything for free–not a car, not a commemorative Oprah watch, not even a sandwich. (Well, actually she gave me one sandwich but she had already taken two bites and also the bread was dry.) On the other hand, I can’t think of any other emotions than the first, so I can’t rightfully call one emotion mixed emotions, although I am starting to feel hungry after all this talk about sandwiches. 2/1 – Oprah will marry her boyfriend of 25+ years, Stedman Graham, during a wedding ceremony officiated by Tom Cruise. 100/1 – Oprah will marry Tom Cruise in a wedding ceremony officiated by Stedman Graham. That couch had one day left until retirement. 1000/1 – Oprah will officiate the wedding ceremony of Tom Cruise and Stedman Graham. 1/1 – John Travolta will appear to promote his new movie. 1000/1 – John Travolta will appear to promote his new good movie. 2/1 – Arnold Schwarzenegger will appear and confess to fathering another illegitimate child. 1000/1 – Arnold Schwarzenegger will appear and confess fathering an illegitimate child with Oprah. 50/1 – Oprah broke up the Beatles. 100/1 – Oprah was the other woman alluded to by Princess Diana as the cause of her marriage difficulties with Prince Charles. 100/1 – Oprah wrote the song Friday and selected Rebecca Black to perform it. 50/1 – Oprah introduced Britney Spears to Kevin Federline. 10/1 – Oprah’s annual Favorite Things giveaway segment was meant to be ironic. She actually hated all of those things–that’s why she gave them away. 100/1 – Oprah will announce thegoodgreatsby.com as her final Favorite Thing. I’ll jump up and down and call my mom before Oprah confesses all of her Favorite Things were meant to be ironic things she hates. I never watched it. Little glimpses I saw here an there made it seem appeal was for women with 16 year old mentality. Most women are for more sophisticated than that. I guess that’s probably true. Even though Oprah had huge numbers for TV she still probably only appealed to a small percentage of women. I would love to see her give away all the expensive stuff she doesn’t like anymore. I bet the couch goes on auction. Or into the Smithsonian. I don’t want it, it doesn’t go with my decor. Oh, Arnold’s gonna be on? Does this mean I have, too? I think he should know. Mom has really been struggling these past years. The final Oprah is the perfect time to ambush Arnold and confront him about abandoning you all those years ago. A 10 million dollar check is not a substitute for a father. 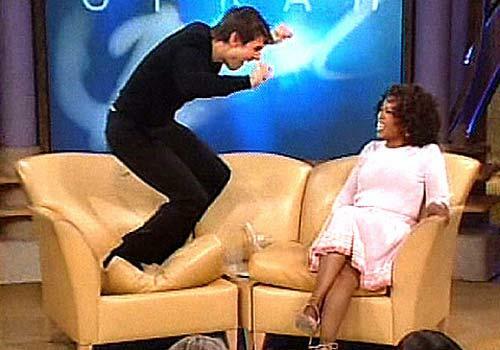 I forget whom Tom Cruise was even jumping up and down for … And, I have never – ever – heard the song Friday, but I have watched Oprah. Which is worse? Give Friday a chance–you won’t be disappointed, unless you have similar tastes to most people and are disappointed. I think that between the time you wrote this and now, Oprah is now worth $2.8 billion. I wasn’t sure what number to write because I figured the total might top $3 billion by the time it was posted. I’ve tried calling Oprah my mom in the hopes she might give me some money, but she only gave me a restraining order. Sadly, the godmother of Elton’s kid is now considered more powerful than Oprah…she bumped O to #2. I have to say, I will miss hearing Oprah’s opinion on everything and how she is able to turn anything around and make it about herself. I really think she is just upset because the Royal Wedding had more viewers. She had to do something big. I sure wish I had Oprah’s talent for talking about myself, but nobody ever seeming to mind. You forgot Julia Roberts. Even if her only job is to hold the train of Oprah’s dress, she’ll be there in some capacity. All hail Queen Oprah! I did forget about Julia Roberts. Probably not a good sign for Julia. I predict that her last show will just be a one hour commercial for her new network. “That couch had one day left until retirement.” – Ha! The story of that poor couch always gets lost in the Tom Cruise fallout. I have contacted my Very Reliable Source who tells me that the final episode will be Oprah revealling that in past lives, she was responsible for the discovery of fire, the wheel, and possibly the corkscrew. Other past lives include the virgin birth, the discovery of America, being Shakespeare and George Washington and Rembrandt and Buddha and at least 14 Dalai Lamas. In addition, she is responsible for having written most of the Dead Sea Scrolls, and as a result, invented spell check. Is your reliable source Dr. Phil? I’m not sure how credible he really is, Renee, but I want to believe all of this. I suspect this will be almost as devastating to universal world order as when Phil Donahue retired. Phil Donahue retired? I’ve really got to start catching up on TV. I have seen precisely two episodes of the Oprah Winfrey Show, and both dealt with a paranormal theme, which is handy since I find such topics a handy barometer of how much stock I should place in a person’s opinion. The first show was about the most haunted (allegedly) street in America, and I remember Oprah finding it all very believable from the outset. The second was about alien (allegedly) abductions, and conversely, Oprah seemed very sceptical from the outset (side note: I wonder if Tom Cruise ever saw that episode?). Now I’m not coming down on one side or the other, but the existence of alien life in a universe where all the necessary elements are found in abundance is somehow less credible than dead people having nothing better to do than turn people’s taps on and off? That’s as surer sign of an anomalous thought process as I’ve ever seen. In conclusion, I’d say America, and probably all of western society will be better off once her show ends. She’s probably done a lot of good things, but the pressure to produce 200 shows a year has probably pushed her in the direction of highlighting a lot of odd or unhealthy ideas that don’t deserve a platform on their own merits. Yes, once I read that Oprah’s big farewell was after May 21, I knew the world was not ending this past weekend. No one upstages Oprah. No one. She’s take a backseat to nothing, not even the Rapture. I love this post so much. How I wish I had written it. For the entire week, in her honor, any word that starts with a “Q” – I will speak (or write) with a capital “O” which is a little Oquirky, I realize, but we all have our coping mechanisms. In her honor, I’m going to watch her final show from beginning to end, the first time I’ve ever watched more than five minutes. Stedman would be disappointed, but I think he always had his suspicions. I’m so happy you paid tribute to such a *cough* wonderful woman. I’ve spent many hours wondering how this “Mother Theresa” person is looking at sainthood, pretty soon, and no one’s even beatified old Op’ yet. The former used to care for the homeless..big whup. The latter gives the homeless a new Kia..
Would you feel better if Oprah gave you something? Yes, but not a Kia. I’m vaguely considering watching that last episode, if I ever get around to figuring out when it’s on. I haven’t really paid attention to her at all for about 20 years. I can’t decide if it would be lame or uber-cool if she went with a St.Elsewhere type of finale. Her entire empire is really just a fantasy in the mind of a small autistic child in Peoria. I also want to watch it, but I’m not sure what time it’s on or whether my satellite service is even showing the current season. Like the Rapture, Wednesday will not be the final OW show. She will be on Thursday revealing her true identity as the love child of Jim Baker and Jessica Hahn. All future shows will deal exclusively with the twenty-five reasons why Maya Angelou is boring. I’m not sure she’s really leaving either. I bet she’ll still do a lot of specials on network TV and also do shows on her OWN network. She’s also performing twice a week at my kids’ school. I can’t talk right now, G.G. It’s just all too much! I know it’s hard. We’re all feeling the same thing. 100/1- Oprah ordered the Navy SEAL raid on bin laden for not appearing on her show. 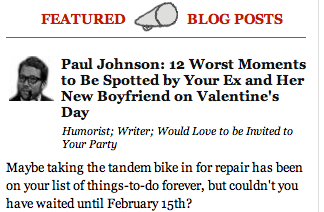 I thought the lie was E – yes, Oprah dated you, but you do want to talk about it. If Oprah has Harold Camping as her final guest, I’ll watch. Oh, and now I’m craving Beecher’s Macaroni and Cheese, even though I have no idea what it’s like or even whether it’s a real product. Beecher’s is real. I’ve never eaten it, but Oprah once listed it as one of her favorite things and it sounded like the perfect meal to go with the Rapture. 2:1 Oprah will recommend that the Good Greatsby spend some quality time with Dr. Phil! So Dr. Phil can help me or so I can help him? I watched part of one of her shows once. It was okay. Afterward, I enjoyed the commercials. Personally, I think the loss of Seinfeld and Friends was more of a cultural crash. I’m still reeling from that loss. Friends went off the air? I was meaning to watch that show and see what all the hype was about. This is epic. Right up there with the last show done by the Father of The Modern Talk Show (I Feel Your Pain Division), Phil Donahue. I think every one of us remembers what he/she was doing that day. I don’t remember exactly what I was doing, but I bet I had cereal that morning. So… we’re thinkin’ mass suicide, right? Of Oprah followers or Oprah guests on the final show? I’m guessing her final studio audience (“You get some Kool-Aid! And you get some! And you! Look under your seats! Everyone gets Kool-Aid!”). I really thought Jesus timed his Rapturous visit to coincide with a guest spot on Oprah’s close out show. Apparently the timing was off. It’s hard to coordinate these things. At least Oprah gave us a clear date when the end would come unlike the Rapture. I’ve never seen a complete Oprah episode, but in my defense I don’t think she’s ever commented on my blog either. Was there a big scene when you dumped her? She said she was going to take me off her list of Favorite Things. I haven’t watched a full episode of Oprah all year. Except for the one I attended. Did I mentioned I liked being 15′ away from Colin Firth? Sorry, once I go to Firthdom, I get distracted. Forgot what I meant to say. I think you meant to say being in the presence of Oprah was one of the highlights of your life, second only to being in the presence of Colin Firth. Note to C. He’s very polite. For her last episode Oprah should bring back a previous guest called, “The Nose,” whose job was to smell perfumes for perfumes companies. Or she could bring back the Banks family – oh wait, that was on an episode of the Fresh Prince of Bel Air. According to a web site that apparently analyzes U.S. Census date, there are about 1,500 Oprahs in the United States. Imagine what your life would be like of Oprah were your first name? I have tried to watch Oprah. The timing is perfect for when I come home from work and settle in for a snack and a little telly. But it’s like trying not to throw up. I have gone to her website and submitted comments on topics and every one of my submissions are deleted. If you ain’t a die-hard fan you ain’t welcome on her boards. Boo! Hiss! Poor Oprah, she is a misspelling. Her mother meant to name her Orpah, a biblical name, but she couldn’t spell it. Now that’s a shame.